While I was walking through the store, I thought of a few minor tests that the system should be able to pass without issues: I first took a snack tray with fruit and cheese, and started roaming the store with no specific path in mind. For the next 5 or so minutes, every time I saw a cluster of customers, I walked towards it and squeezed in between several people, curious to see if the camera was able to follow me that way. I also stopped and removed my jacket (would the system notice that I changed my appearance? ), then I grabbed a piece of manchego cheese, looked at it and let it fall in the bag I was carrying without inserting my arm into the bag (unless the cameras were tracking the item as well, my body moved as if the cheese evaporated from my hand). Finally, I took a bottle of drinkable yogurt and put it slowly in my backpack. It almost felt like stealing. 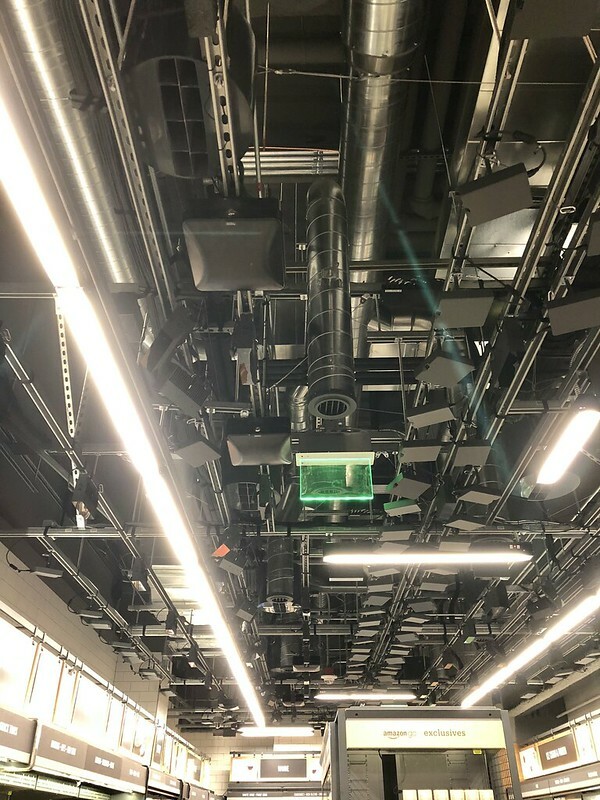 One Amazon employee told me that you can do pretty much anything other than obstructing the view above you, like opening an umbrella. You can even eat an item right there, before leaving (just don’t put the container back on the shelf). 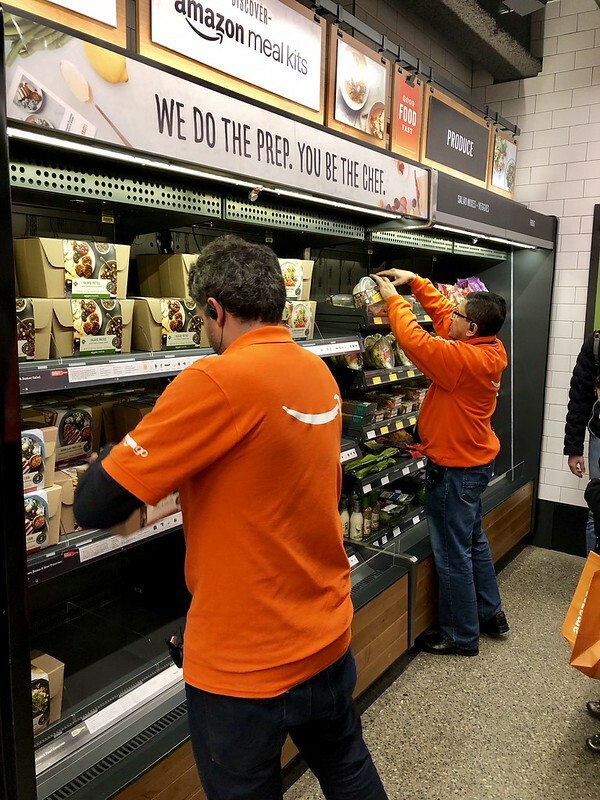 Amazon hasn’t announced any expansion plans, but I bet that they are just using this Amazon Go store as a pilot for many more in the future. If the concept works (and I know it will), Amazon has already a battery of stores waiting to be modernized with the so called ‘Just Walk Out’ technology: Whole Foods. It’s clear that Amazon wants Amazon Go to succeed since they could even license the technology to anyone and everyone. Many worry about the impact on jobs, but as Sundar Pichai said about AI last Friday: “history shows that countries that pull back don’t do well with change. So you have to embrace the change.” That sentiment applies extremely well to this scenario as well; it’s a matter of time that technology replaces the cheapest manual labor, since it’s also the easiest to automate. Next Post Amazon Go: A.I.’s grim face?